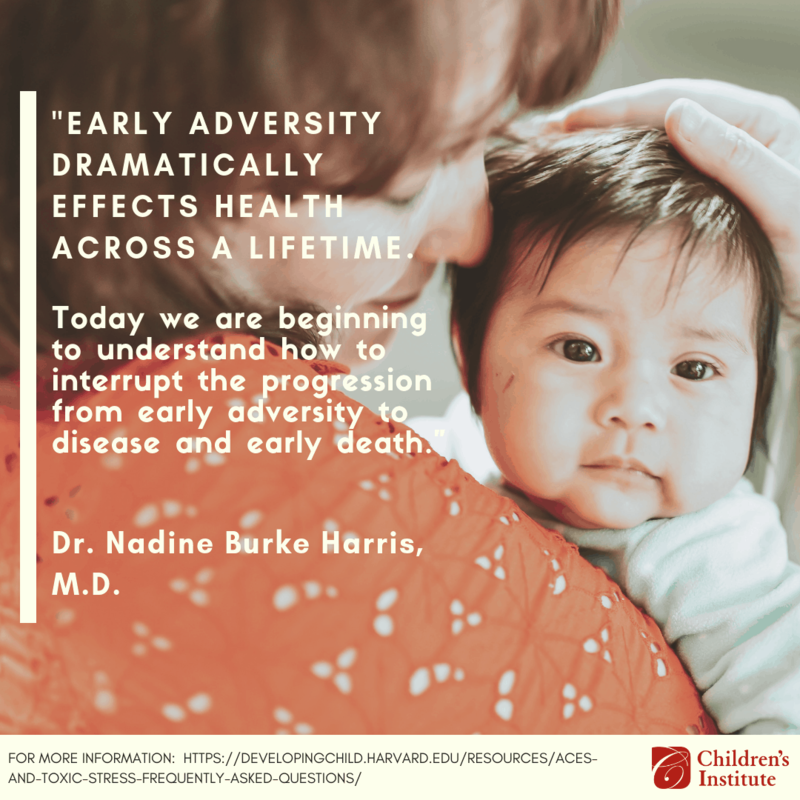 Led by the work of Dr. Nadine Burke Harris—pediatrician, founder of the Center for Youth Wellness, and author of The Deepest Well: Healing the Long-Term Effects of Childhood Adversity—researchers have begun to examine the connections between childhood trauma and long-term health outcomes. Adverse childhood experiences, or ACEs, were first measured in a 1998 study that found that greater exposure to adverse experiences such as abuse, neglect, poverty, and food insecurity led to increased risks for a range of health problems including heart disease, asthma, autoimmune diseases, substance abuse, and depression. The research is clear: what happens during early childhood can have lifelong impacts. Programs that support early childhood health and family stability are a key solution to this public health crisis. Last week, NPR reported on a new study published in the Journal of the American Medical Association that examined the long-term effects of childhood trauma. “Participants who experienced childhood trauma were 1.3 times more likely to develop psychiatric disorders than adults than those who did not experience trauma, and 1.2 times more likely to develop depression or substance abuse disorder.” According to the study, these findings suggest that childhood trauma could be more effectively treated as a public health crisis. This podcast, produced by the FRIENDS National Center for Community Based Child Abuse Prevention, brings together experts from the Centers for Disease Control, the National Child Traumatic Stress Center, NC State University, and a local Health Start Program to discuss the intersections between ACEs and the historical trauma and bias impacting African American communities. To better serve this community, practitioners can improve trust and the inclusiveness of their programs. Cara Copeland, Executive Director of the Oregon Association of Relief Nurseries, explains why trauma-informed care is critical to preventing child abuse and supporting families. We recently visited John Wetten Elementary School in Oregon to learn more about the Gladstone School District’s approach to trauma-informed care. Stay tuned for our upcoming podcast about our visit to learn more!